“Do not study for the GRE the day before the test.” For many who’ve been diligently preparing for the GRE, this advice elicits no argument. Yet acting on it can be surprisingly challenging. Why not try another problem set or two? Maybe attempt a few more timed practice sections—or an entire practice test! Here are a few reasons why these last minute efforts are a bad idea. If you’re still trying to learn new things the day before the test, consider changing your test date. The GRE isn’t like a high school vocabulary quiz, to which short term memory can in many cases be successfully applied. It’s a test of your abilities in reading comprehension and argumentation, and in logical and analytical application of math concepts. You can’t “cram” to become a better reader or a more skilled problem solve. These skills take considerable time and effort to develop. 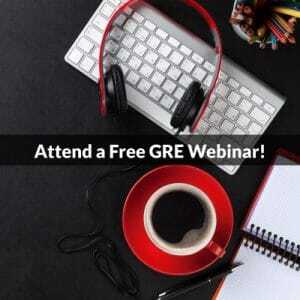 What you can cram for are things like math formulas, and if those types of fundamentals are still worrisome for you the day before the test, chances are you’re not ready to take the GRE. The skills you’ve developed likely won’t disappear overnight. Everyone wants to stay sharp for the GRE—fluent in the language and content of the test. But that doesn’t require constant prep without a break. Rest and relax the day before the exam and you’ll have more energy and focus on the real thing. If you want to hit the ground running, you can do some work the morning of the test, perhaps by going over a few math problems or a couple of passages that you already know well. Doing some warm-up exercises canreinforce your confidence and put you into “GRE mode” well before you arrive at the test center. You’ll need (and deserve) a break. Perhaps you’ve spent weeks or months preparing. If so, the eve of the exam is the time to give yourself a pat on the back and take a break. 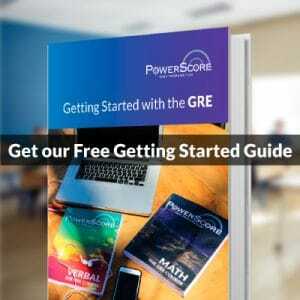 Regardless of how long you’ve prepared, the day before the GRE should be used to rest up for an exam that’s a pretty grueling test of endurance. So enjoy a bit of rest and relaxation the day before the GRE. You’ll be more likely to bring your A-game when you walk into the test center.